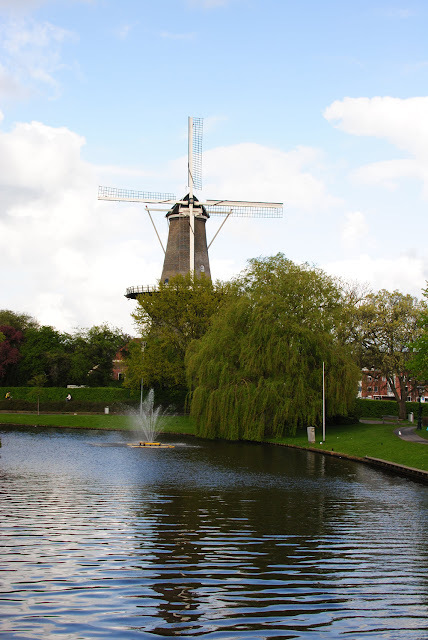 Last weekend we went to Leiden, Holland to see the Tulips in bloom at Keukenhof. 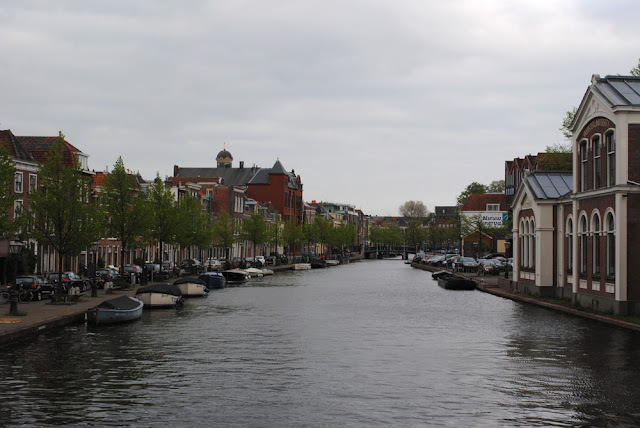 Leiden is about 25 mins away from Keukenhof by car and is connected by buses which run around every 10 mins. So it makes a perfect base to see the tulips. 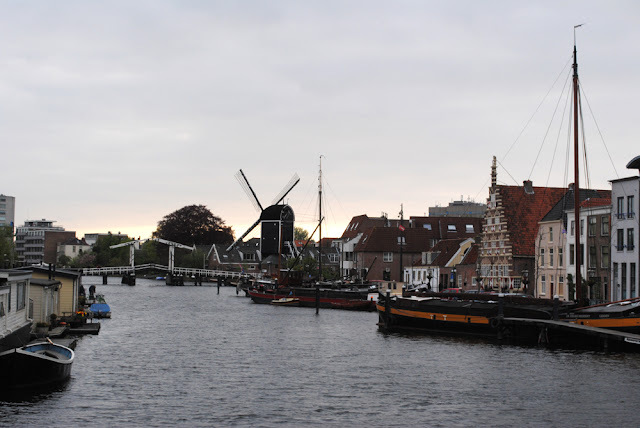 Leiden itself is also really picturesque with windmills and canals aplenty, and worth visiting. It has a lovely market on Saturdays, with fresh produce, cheese, stroopwaffels, clothing and fabric (I got some pink tulle). 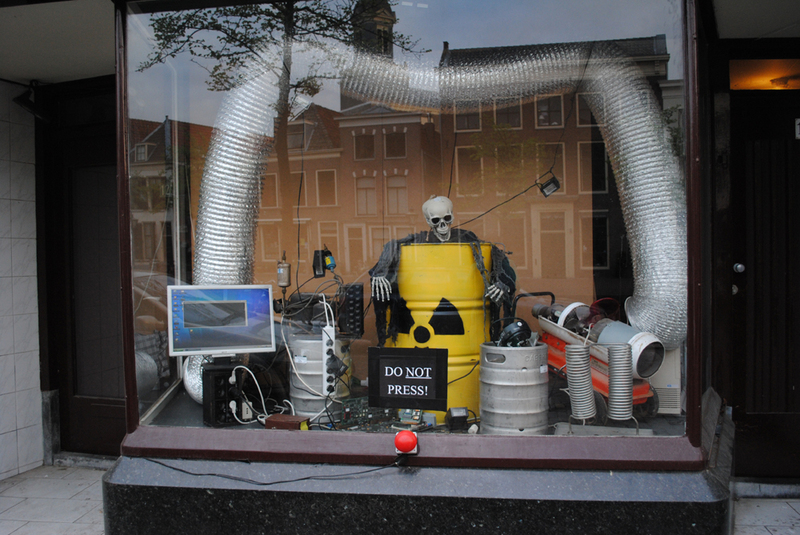 Small enough to wander around by foot Leiden is still big enough for a nice selection of restaurants and shops. It also has a lot of museums, but we didn't get a chance to see any of them. This was the canal we could see from our hotel room.